Ricolino is the perfect brand of sweet treats for teens. Products from Ricolino show a playful combination of flavors and sensations: marshmallow + chocolate / mint + jelly + gummy candy. Also, these products can be found everywhere and have been available for a long time, so they have become very intimate with the general public. 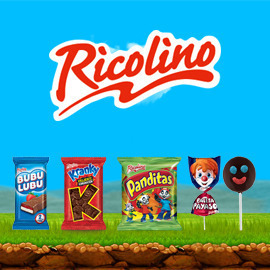 Ricolino wants to communicate the playfulness, interactivity of their products (combination and texture) and their strong bond with Mexican teenagers. Can you be as surprising as they are? Wow teenagers with a poster and a tagline that show the playfulness, the unexpectedness and the credibility of Ricolino. Send us your creations before July 19th and win up to €2.500!